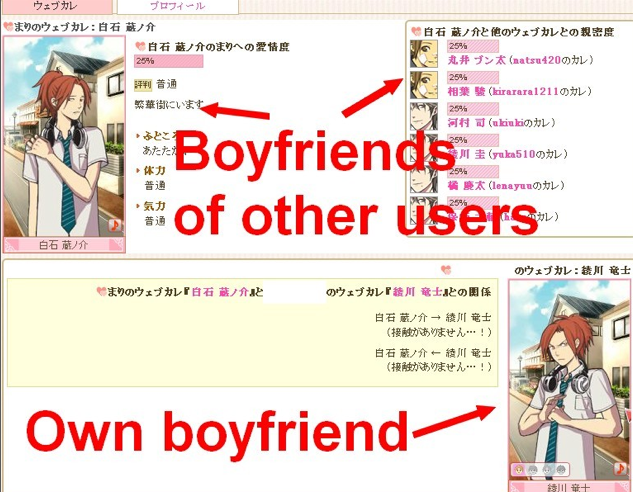 In Japan, girls are crazy over virtual boyfriends. 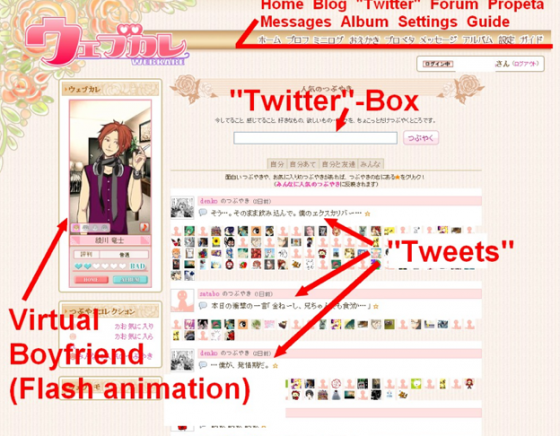 Webkare (Web Boyfriend in Japanese), a mix between a social network and dating simulation site, is Nippon’s newest web sensation. Geared exclusively towards girls, the site attracted over 10,000 members just 5 days after its release on September 10, racking up 3.5 million page views in the same time frame. The site is a huge hit over here. Girls sign up and become members of a social network but also users of a dating simulation in cartoon style. 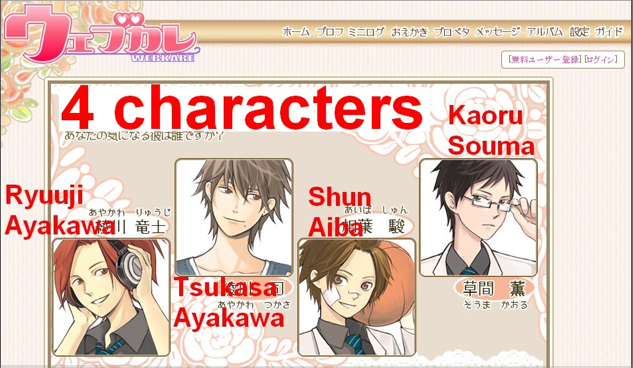 They have to try to hook up with one of four male Anime characters (who are the “stars” of the site) through “conversations” and must collaborate with other Webkare members in order to move on in the game. Eventually they conquer the heart of the chosen cartoon boy. It’s pretty weird but clever. Dating simulations have been popular in Japan for quite a while now, but Webkare marks the first time the concept has been brought online and combined with social networking functionality. Girls choose between one of four different male cartoon characters they want to hook up with upon registration. They can then “communicate” with their digital crush in cartoon-like sequences to try to win over his heart over the course of the game. 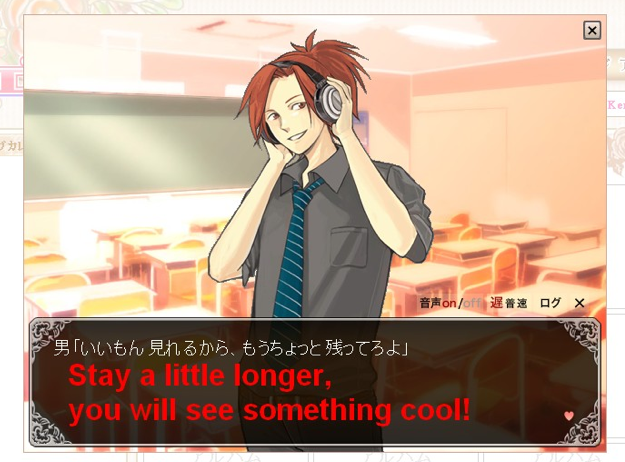 It’s also possible to meet other boys later in the story, which uses a virtual high school as the main setting. Interaction is quite limited, as users themselves can neither type text nor “speak” to the characters. Instead, Webkare will display a short cartoon clip if you click on the boy you like (some of the clips include voice samples such as “What’s up?”, “Do you always stay in the class room until dark?” “Leave me alone!” etc. ), driving the love story forward step by step. Important conversations or events can be stored in the album section of the site as “memories”. On the surface, Webkare’s social network functions are kept to a minimum. There are profiles (including the “Propeta” feature that lets you decorate your profile with small branded icons, similar to the HotLists used in HotOrNot profiles), a direct messaging system, a discussion board and a Twitter-like microblogging function. But the social aspect is actually quite distinctive, as members need to befriend each other and collaborate. LinkThink, the company behind Webkare, is strangely secretive about the game mechanics, however, making it hard to figure out how to advance in the game. For example, it seems to be essential to “talk” to the boyfriends of other users and view their profiles and albums. Currently usage is free, with display ads and affiliate links as main sources of revenue. Webkare’s future monetizing strategy could include turning the concept into a video game or novel, merchandising, product placement, selling virtual items, expanding the concept to cell phones, developing a version for male users or offering premium memberships. Another obvious option is internationalization, but here the question is if such an idiosyncratic way of curing loneliness 2.0 could succeed in the US or Europe as well. Reportedly, 52% of members are Japanese females in their twenties, with thirty-somethings accounting for 18% of the user base.